Alexander Guchkov was born in Moscow, Russia on 14th October, 1862. He was a major industrialist and in 1907 was elected to the Duma. Guchkov advocated political reform and became leader of the Octobrist Party. Later he became a leading figure in the Constitutional Democratic Party (Cadets). Guchkov was also a strong critic of the relationship between Alexandra and Gregory Rasputin. In the Duma Guchkov claimed that Rasputin was an "ignoble deciver" and a "dangerous adviser". He also doubted whether Nicholas II would ever accept a constitutional monarchy. Some progressives were suspicious of Guchkov because of his close friendship with Peter Stolypin and other senior government ministers. Bernard Pares knew Guchkov during this period: "Guchkov, grandson of a serf, son of a merchant and magistrate of Moscow, was a restless spirit always coming into prominence on this or that issue of the moment. Guchkov's chief quality was a daring gallantry; he was at ease with himself and enjoyed stepping forward under fire with a perfect calm whenever there was anything which he wished to challenge; his defect was his restlessness; without actually asking for it, he was instinctively always in the limelight, always trying to do too much. He had the easy organizing ability of a first-rate English politician; he was quietly proud of his democratic origin, and all his actions were inspired by an ardent love for Russia and the Russian people, in whose native conservatism, common sense and loyalty he fully shared." During the First World War Guchkov became chairman of the Duma Committee on Military and Naval Affairs. After Nicholas II abdicated, George Lvov appointed Guchkov as Minister of War in the Provisional Government. The British ambassador, George Buchanan, informed London that Guchkov was in a difficult position: "Under such conditions it was impossible for Guchkov, as Minister of War, and for Kornilov, as military governor of Petrograd, to accept responsibility for the maintenance of discipline in the army." 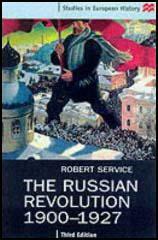 Guchkov made vain attempts to stop Bolsheviks propaganda being distributed in the Russian Army. After street demonstrations against him he resigned and was replaced by Alexander Kerensky. According to Buchanan, Guchkov believed that unless he resigned "the army would cease to exist as a fighting force in three weeks' time." Guchkov fled the country after the October Revolution. Alexander Guchkov lived in Paris where he died on 14th February, 1936. 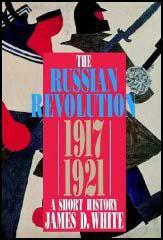 (1) Bernard Pares, a British academic, met several of the leading political figures in Russia during the summer of 1914. Guchkov, grandson of a serf, son of a merchant and magistrate of Moscow, was a restless spirit always coming into prominence on this or that issue of the moment. Guchkov's chief quality was a daring gallantry; he was at ease with himself and enjoyed stepping forward under fire with a perfect calm whenever there was anything which he wished to challenge; his defect was his restlessness; without actually asking for it, he was instinctively always in the limelight, always trying to do too much. He had the easy organizing ability of a first-rate English politician; he was quietly proud of his democratic origin, and all his actions were inspired by an ardent love for Russia and the Russian people, in whose native conservatism, common sense and loyalty he fully shared. I returned to Petrograd during the third week in September. A new Minister of the Interior had just been appointed, and the choice had fallen on Alexander Protopopov, former vice-president of the Duma. In the course of a few months this man, who was in fact the last Minister of the Interior of the Russian Empire, managed to incur the wrath and hatred of the whole nation. Soon afterwards the whole story came out. Evidently, Protopopov was suffering from an incurable venereal disease, for which he had been under the care of Dr. Badmayev for many years. It was in Badmayev's house that he met Rasputin, who had had no difficulty in subjugating a man with a disturbed mind, although Protopopov did do his best to conceal his friendship with Rasputin. Rasputin introduced him to the Tsarina, whom he charmed. It was she who subsequently suggested him for the post of Minister of the Interior. The Government, as Prince Lvov remarked, was "an authority without power", while the Workmen's Council (Soviet) was "a power without authority". Under such conditions it was impossible for Guchkov, as Minister of War, and for Kornilov, as military governor of Petrograd, to accept responsibility for the maintenance of discipline in the army. They both consequently resigned, while the former declared that if things were to continue as they were the army would cease to exist as a fighting force in three weeks' time. Guchkov's resignation precipitated matters, and Lvov, Kerensky and Tershchenko came to the conclusion that, as the Soviet was too powerful a factor to be either suppressed or disregarded, the only way of putting an end to the anomaly of a dual Government was to form a Coalition.